Switzerland has begun utilizing Varian's Eclipse treatment planning system for intensity modulated proton therapy (IMPT) treatments. Additionally, the center is now employing Varian's ARIA oncology information management software. The Eclipse treatment planning software creates an optimized treatment plan based on a physician's dose instructions, and information about the size, shape, and location of the tumor to be treated with proton therapy. PSI delivered its first patient treatments in July 2018 based on plans developed in the Eclipse system. 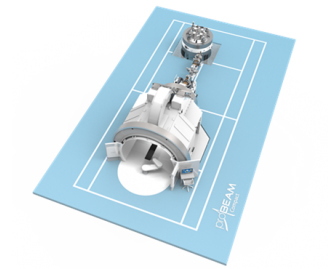 The IMPT treatment was delivered on a Varian ProBeam gantry, with the treatment team utilizing ProBeam's full remote-control capabilities from the treatment control room to manage both gantry and table motion. "Over the past 34 years, PSI has treated over 8,500 patients with proton therapy, and we have recently expanded our capacity through a joint project with the University Hospital Zurich and the University of Zurich," said Prof. Damien C. Weber, chairman of the Center for Proton Therapy, PSI. "The Eclipse and ARIA solutions have played an important role in this collaboration across institutions and ensuring each patient receives a personally tailored treatment plan." "PSI has been a leading innovator in the field of IMPT and our main development partner for more than a decade," said Kolleen Kennedy, chief growth officer and president of Varian's Proton Therapy Solutions. "We are proud to see that many of the innovations from PSI's first IMPT system have been incorporated into the ProBeam and Eclipse systems." ARIA is a comprehensive electronic medical record and image management system that aggregates patient data into an organized, oncology-specific medical chart with functional components for managing clinical, administrative and financial operations for medical, radiation and surgical oncology. The ARIA system provides a seamless flow of information for managing the patient's entire journey—from diagnosis through follow-up. For more information on Varian's ProBeam system, visit www.varian.com/probeam. Brief update on the use of proton beam therapy for non-small cell lung cancer: Gimmick or Godsend? Paul Scherrer Institute using Varian software solution for advanced proton therapy. Appl Rad Oncol.